Starting with the first concert on Friday, November 16, McKinney will see the beginning of a new concert series. 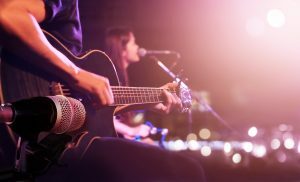 The McKinney Arts And Music Series will provide an array of performers and musical styles, so that area residents can enjoy these specially curated events. The first concert will feature Peacherine Ragtime Society Orchestra, a group that revitalizes ragtime hits, playing plenty of Scott Joplin classics! While the Peacherine Ragtime Society Orchestra looks at music’s past, you can take a moment to look at your own history. Specifically, look back to when you had your last routine dental checkup. These visits should take place every six months – if you are due for another visit, your McKinney, TX dentist can help! The first concert in the new McKinney Arts And Music series will take place on the evening of Friday, November 16. The show will begin at 8 pm. The concert is being held at the McKinney Performing Arts Center, in the Courthouse Theater. Tickets are $35 for adults, $30 for seniors (60 and older), and $25 for students (ages 6 through 12). Check out the first concert in a new series being cultivated here in McKinney. For more information about the concert, click here. For more information about this new series, click here. Schedule Your Next Dental Exam At Illume Dental! At Illume Dental, you can count on quality care during a routine exam. Of course, we are also ready to help you when you are seeking restorative or cosmetic dental care! For more information, call Illume Dental in McKinney, TX, today at (469) 301-1255. We are proud to provide dental care to families in and around McKinney, TX, and those from Allen, Plano, Frisco, and all surrounding areas.